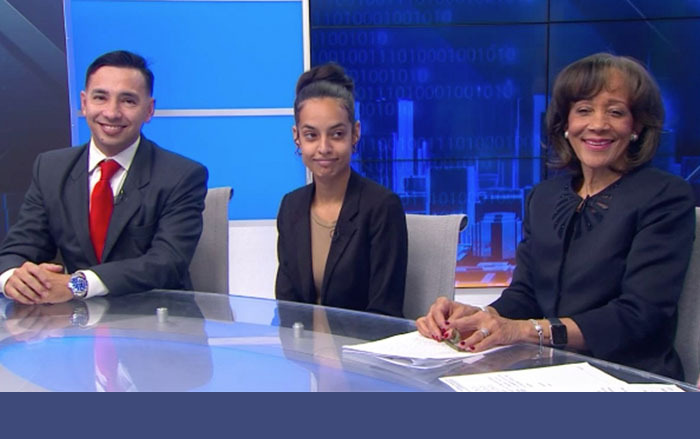 On Sunday, November 25, 2018, NBC Universal/NECN TV's CEO Corner host Brian Burnell interviewed Cambridge College President Deborah Jackson and two recent alumni. Below are clips from the show. Click an image to view the video clip. President Jackson shares the story of Cambridge College: its focus on adult learners, the recent move from Cambridge to Boston, partnerships with the Boston Public Schools and more. Two recent graduates of Cambridge College, Luz Villar and Franklim Herwing, join President Deborah Jackson to share compelling personal stories of what it took to get their degrees and how Cambridge College made it possible to fit education into their already busy lives. President Deborah Jackson shares thoughts about what's next for the institution.